The Bednesti Lake Ecological Reserve is located 45 km west of Prince George, 2.5 km south of Highway 16. The ecological reserve is 139 ha in size, and preserves representative wetland communities and disjunct tamarack stands on the Interior Plateau. 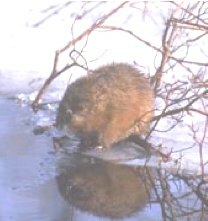 The ecological reserve is situated on a nearly level portion of the Nechako Lowlands Ecosection of the Interior Plateau. Two small bog-like lakes are surrounded by a broad band of treeless wetland vegetation, beyond which are stands of coniferous forest. Most of the wetland vegetation is made up of floating mats of sedge. Boggy forests dominated by tamarack, black spruce, or a mixture of the two occur in low sites near the sedge wetlands. Typical upland forests contain a mixture of white and black spruce and lodgepole pine. Both tamarack and cordroot sedge occur here as isolated populations well south of their more continuous sub-arctic ranges. An access road passes through the western end of the ecological reserve. Logging has occurred on lands immediately south of the ecological reserve. Road construction may affect watershed drainage. Monitor the situation. Roads are not allowed in ecological reserves. Investigate the status of the road to determine if it needs to be excepted from the ecological reserve. The road provides increased access to the ecological reserve. Monitor possible impacts.